Beautiful and comfortable lined dress.Custom made printed silk and cashmere fabric. Embellished with matching colors rhinestones. Size 12-14 UK. 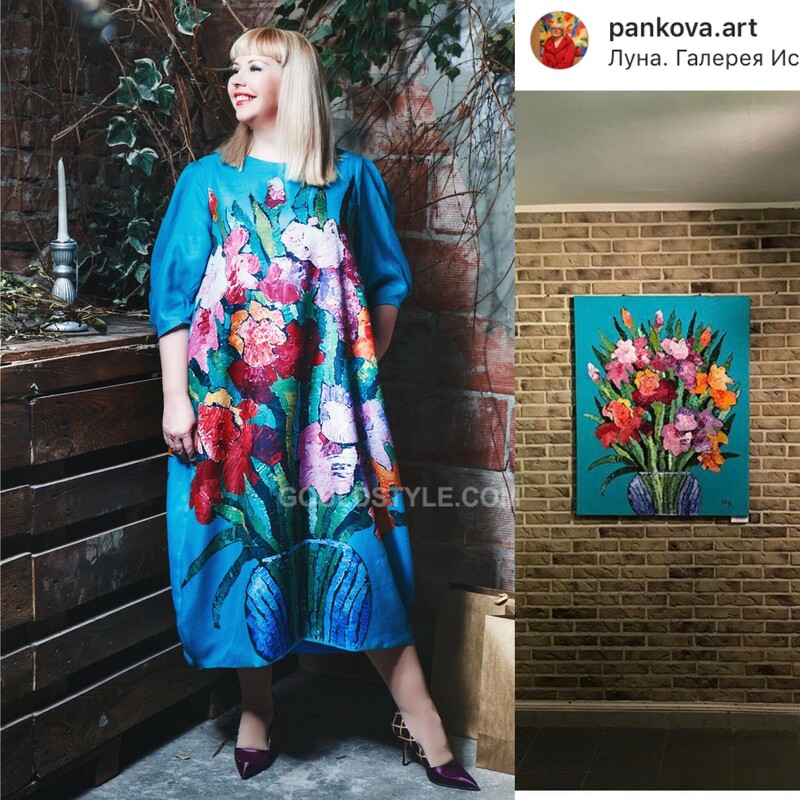 The image on dress is by Natalya Pankova, Russian artist.